Helping buyers and sellers achieve their real estate goals one client at a time. *Each Keller Williams Office is Independently Owned and Operated. I strive to form life long relationships by providing excellent service. My #1 goal is to be your Realtor for life. 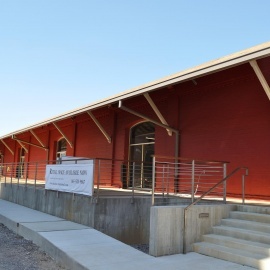 The old railroad freight terminal in Knoxville has been restored. Part of the space is leased and there are several remaining spaces for lease. We look forward to helping you with your real estate needs, and promise to provide you with friendly, professional service for years to come! My goal is to help you live your dream of owning a home because I'm focused on helping you get what you desire. Let's talk about your new home!